So sometimes I need a quick fresh dish that I can whip up in minutes after work. 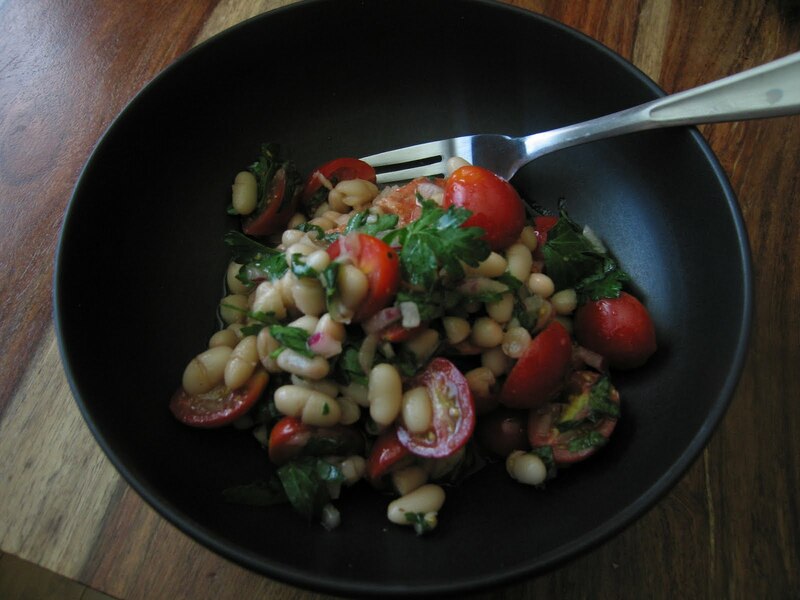 It’s usually late so it needs to be healthy and light, this white bean salad is a great choice. You can serve it with a large green salad or with a side of wild salmon or free range chicken. It would also be great for a picnic because it won’t go bad in the heat. 1. Toss all the ingredients in a large bowl and dress with olive oil, vinegar and salt and pepper. 2. Serve as soon as possible either alone or as a side. Remember that you can change up the proportions and make this dish your own, I guarantee I wasn’t the first to think this up. I am however going to double this and pack it for my lunch this week, and for Billy I’m going to use garbanzo beans for his lunch version of this dish. ENJOY!